Feasibility study and Landscape Architectural design services for a river trail and village green. The Hope Village Green is one of the key elements in the Pawtucket River Trail. 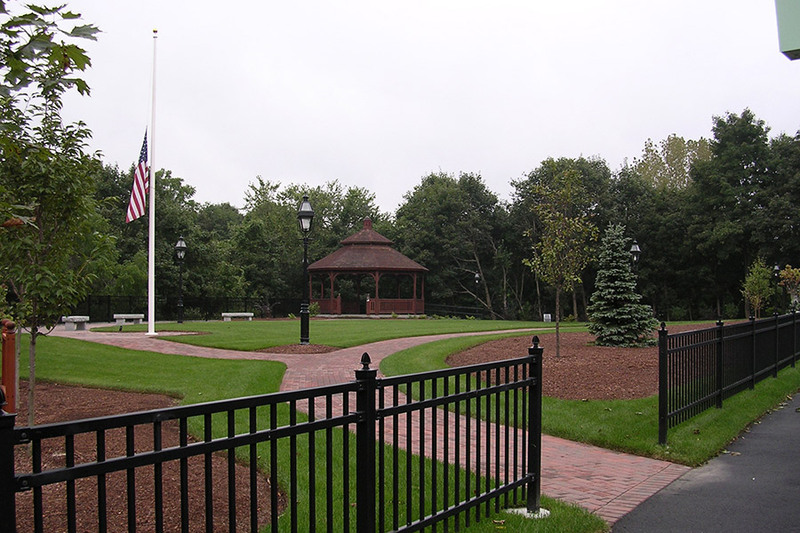 The Green is located within the village of Hope, Rhode Island, and it provides a major gathering place and open green space for this small mill village community. 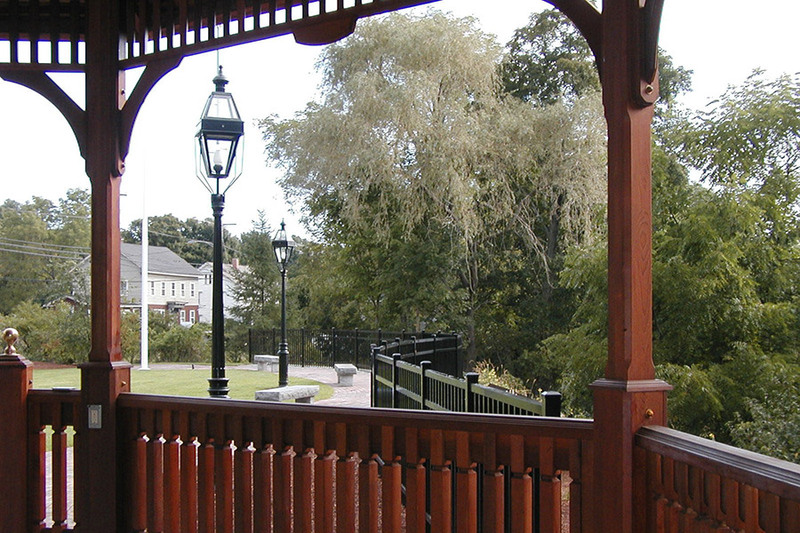 Hope Village Green sits roughly 30 feet above the Pawtuxet River and provides dramatic views of the river and the nearby historic Hope Mills. This project is Phase 1 of a master plan for the Pawtuxet River Trail project. The feasibility study for the Pawtuxet River Trail was completed for Hope Associates, Inc. a non-profit organization based in Scituate, Rhode Island and dedicated to the preservation of open space and natural resources along the Pawtuxet River Watershed and within the village of Hope, Rhode Island. 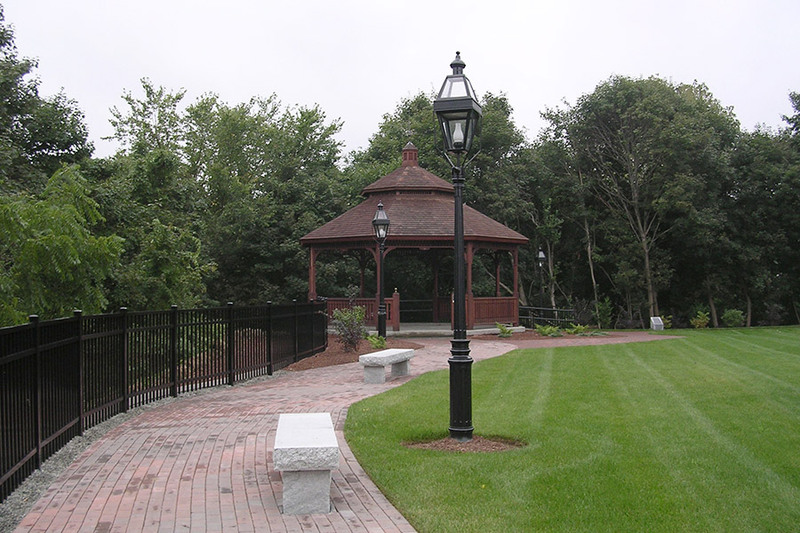 The design components for the Hope Village Green provide a perimeter walk around the small 1-acre site, a gazebo located so that crowds can gather for special events and concerts, an overlook area to the southwest providing views down to the Pawtuxet River and privacy and screening from the road. Site amenities include period lighting and benches as well as a flagpole. The Green is actively used for community events, band concerts and photographic opportunities. Future expansion plans include a stairway to bring walkers down towards the river and across a proposed pedestrian bridge that will link the village and the Green to the Pawtuxet River Trail.